Adherens junctions (AJs) are cell-cell adhesion complexes that are continuously assembled and disassembled, allowing cells within a tissue to respond to forces, biochemical signals and structural changes in their microenvironment. The events leading up to adherens junction formation are still not entirely clear, but they ultimately result in the recruitment of transmembrane cadherins, catenins (beta-catenins, alpha-catenins)and cytoskeletal adaptor proteins (as reviewed in ) that form the primary architecture of adherens junctions. Hepatocyte cells plated on collagen and stained the next day to image newly formed cell-cell contacts. 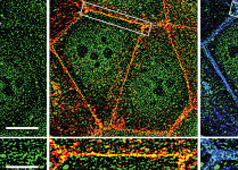 F-actin (green), β-catenin (red), cadherin (dark blue), nuclei (cyan). The overlap of β-catenin and cadherin seen as magenta represents adherens junctions that have formed between apposing cells. 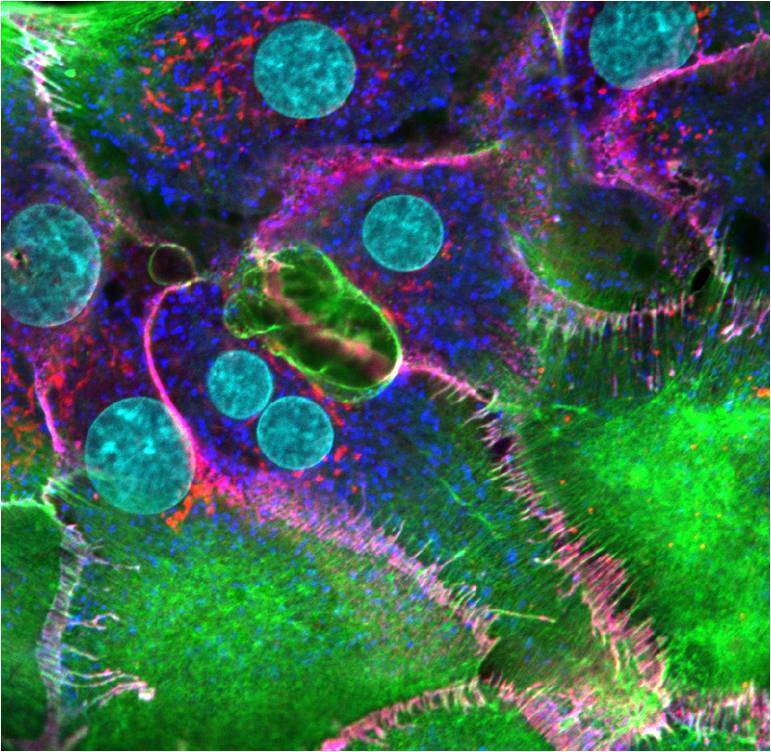 These cells were imaged using a Nikon A1Rsi confocal microscope at 100x magnification. 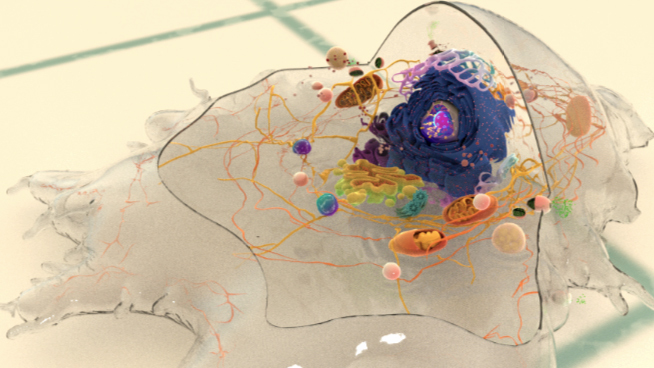 [Image captured by Jeffrey Robens, Mechanobiology Institute, Singapore]. Adapted from Yonemura S, 2011. 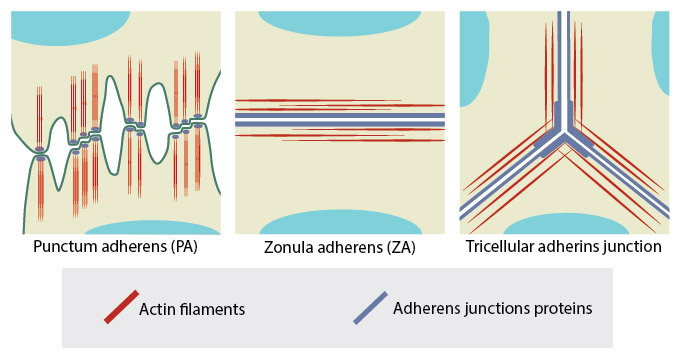 This diagram depicts three different examples of adherens junctions; punctum adherens that are common in mesenchymal and neural cells, zonula adherens that are common in endothelial and epithelial cells and tricellular adherens junction, common in all cell monolayers [Franke WW et al, 2009]. The formation and function of the adherens junction can be described over defined steps including initiation, cadherin recruitment and the recruitment of plaque proteins. Adherens junction assembly occurs in a variety of contexts, such as during development when migrating cells first encounter each other to form a tissue, as well as in pre-existing tissues when cells divide, change shape or move in response to biochemical or mechanical stimuli. 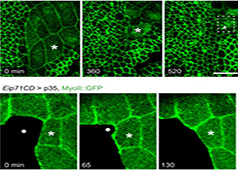 A large body of work has investigated adherens junction initiation during embryonic morphogenesis and in cell culture when migrating cells first contact each other. 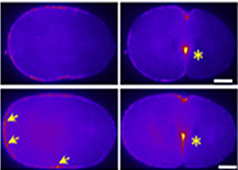 It is important to note that AJs form and disassemble throughout life, not only during development, and this turnover is vital to the homeostasis of epithelial tissues.